It's time of year again. It's time to start prepping for a fun night of Trick or Treating. We want to help you make sure everyone has a safe and fun experience. 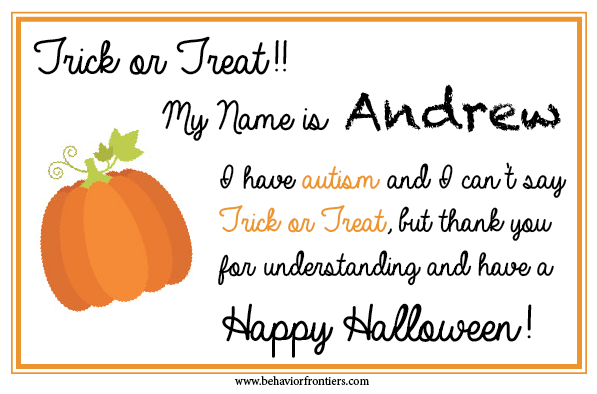 We created this post for creating an autism friendly Halloween and we have also updated this helpful print out to use for non-verbal children or children who need a little assistance trick or treating. Happy Halloween! Download the free printable here.